Two state lawmakers from Worcester want to create a task force of law enforcement, public health leaders, and regulators to crack down on unlicensed marijuana sellers. Senator Michael Moore, a Democrat, and state Representative Hannah Kane, a Republican, will hold a news conference Wednesday at the State House about their joint bill, filed Monday, which aims to maximize tax revenues and reduce youth pot access. The underground cannabis economy “threatens the progress the Commonwealth has made in implementing the law that was approved by voters,” according to a news release. The task force would join officials from the Cannabis Control Commission, Massachusetts State Police, local law enforcement, the Department of Revenue, and the Department of Public Health. The group would receive investigative tips, share information on criminal investigations, refer leads to police and prosecutors, and focus resources on areas where illicit activity is “most prevalent.” The group would not be subject to open meetings. The bill also proposes allowing the commissioner of revenue to impose civil fines on unlicensed businesses based on the estimated amount of unpaid taxes. The fines would be dedicated to police training, substance abuse prevention and intervention, and the commission’s social equity fund. The social equity fund will pay for mentorship, training, and assistance to help bring people from communities that were disproportionately affected by criminalization into the legal marketplace. An estimated 75 percent of marijuana sales in Massachusetts will occur under the table this year, according to cannabis research firm BDS Analytics. Marijuana tax collections have been underwhelming so far. Industry analysts blame the state’s slow rollout of legal stores in relatively far-flung locations, compared with other places that allowed stores to open near population hubs faster. Most cannabis consumers simply don’t have a legal place to buy that is as convenient or as cheap as the illicit sellers they’re used to, advocates say. The Commonwealth Dispensary Association, which represents medical marijuana retailers that spend heavily to comply with regulations, has advocated for a crackdown on unlicensed sellers, which undercut their businesses. 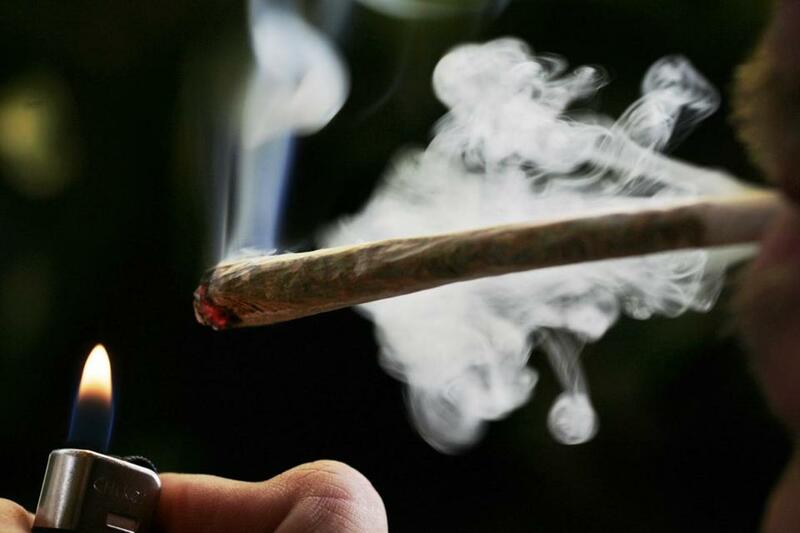 But other groups, such as the American Civil Liberties Union and the Massachusetts Recreational Consumer Council, argue that more cannabis criminalization would perpetuate racial disparities in policing. Kamani Jefferson, president of the MRCC, said policy leaders who are serious about reducing the illicit market should focus on bringing unlicensed sellers who want to go legal into the regulated marketplace through outreach, education, training, and other programs. Before arresting more people, the state should give them a chance to join the industry, which is now too costly for many to do, he said.